Can you tell us a bit about yourself and background. I was born in Australia in 1988; my parents are both Japanese. My father was originally a chef but then started his own business in property development and management for Japanese investors. Unfortunately, he hates the cold so he had moved to Queensland. I live in Australia and stay in Nozawa for the snow season. I'm currently studying Architecture at UQ (Brisbane) and worked with my father for the majority of the year. 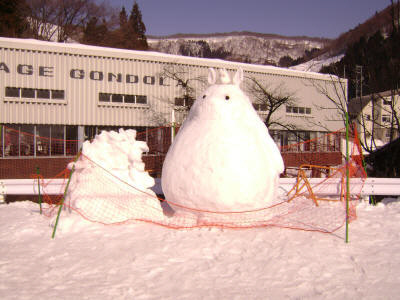 What are you doing in Nozawa? As I'm bilingual, I'm literally chained to the front desk of the Hikage Ski area. Most of my work is administrative but I also do a lot of media work and promotions for both Japanese and English. Other things include being an interpreter for the Patrol and doing a lot of concierge type work for non-Japanese speaking tourists as the Information Centre doesn't always have English speaking staff members. However, the main task for me is to look after non-Japanese guests and to manage the foreign instructors. I've been working for the school for two years now but I usually get sent work during the off season as well. The school has a number of lesson packages available including: 3-4 year old classes, 5-9 classes, 10-12 and then adult lessons. Unfortunately, the class lessons are only predominantly in Japanese at the moment. Whether you'll get anyone that speaks English comes down to luck. With English lessons, we only have private lessons. We also have telemark, demonstration, alpine/racing camps, snowboarding park tricks etc. There are Olympic/national coaches and team members that can also give private lessons for the more advanced skiers. Considering the increase in popularity with English-speakers, how come the resort doesn't have some English speaking instructors? Are there plans to make that happen? While we have a number of English speaking instructors, it's not really comparable to places like Niseko. The biggest hurdle in getting English speaking instructors for general class lessons is the way the school operates. 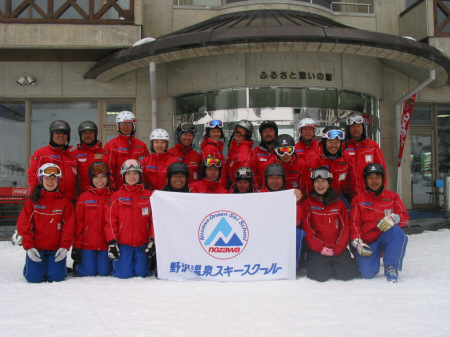 The school is part of the Nozawa Onsen Ski Club (as is many other aspects of the ski resort) and the local instructors (people who are part of the club) consist of the main bulk of instructors and coaches. The rest of the employees are assistants. In order to get English a solid base of English speaking instructors, it needs to start with the Ski Club members. We have a fair few coaches and instructors that can speak English (due to their international exposure). The second problem is the inconsistency of the English speaking customer base. When provided visa sponsorship, the issue is whether there is enough work available for instructors that cannot speak Japanese. With the recent increase of English speakers, I think the number of instructors that can speak English will continue to grow. I tend to see Australian/English families in late December and late January (Christmas and the end of the school holidays). 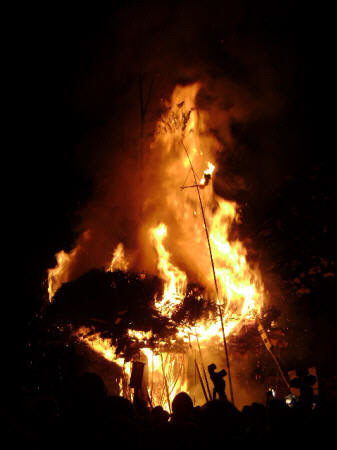 There's always a lot of guests from China, Taiwan and other South East Asian countries during the Chinese New Year. February is usually mixed but this year (2009) has had a lot of Australians. We had a number of cancellations just prior to the ski season and so it was a bit of a slow start. Overall, this year has had a lot less Australians taking private lessons and opting to join a class lesson (regardless of whether they could speak Japanese or not). I think the number of guests at the resort hasn't changed much but the number of customers to the school has. I was in town with a friend the other day and we jokingly observed that the only people out were either foreign tourists or the kids on a ski trip. Is there an increasing demand for English-speaking guests? I think this is a tricky question; all the ski resorts throughout Japan have noticed a sharp decline in Japanese skiers/boarders and a steady rise in foreign tourists. I think it's going to get to a point where the industry will rely on international tourism as much as it relies on the domestic sector. I think it's a case of market push and market pull. To put a rough estimate, about　8%-12% of the private lessons are English lessons. General group lessons are a bit harder to estimate due to the peak/off peak. The majority of coaches and instructors are from the village so capacity for English guests is still quite limited but I think this has started to change as people recognise this demand. In my opinion, I think diversity is healthy and people are keen on seeing more guests come through. Have you experienced much skiing overseas? I've only done a bit in New Zealand a short trip to Perisher. How does Nozawa compare with Perisher? I think the biggest difference between Nozawa and most ski resorts is that there's a unique quaintness to it. If you stay here long enough, you'll start noticing that the people have their own dialect (called Nozawa-ben) and that there are only a handful of different family names! As with most Japanese villages, it's quite isolated and you could live here for 20 years but not be considered a local. The resort is big but the school operation and the village itself is small and its history is rich. I personally prefer the small town feeling. I'd love to see what St. Anton is like and draw comparisons there. And what do you think is the appeal of Nozawa to foreign visitors? While the snow is major reason, I think it depends on the country they are visiting from. The Australians that visit often say they come because they want a Japanese ski experience and had previously skied in Niseko. A lot of south-east Asian guests would be here because their holidays coincided with the ski season well. The village itself is still quite unaccustomed, for the lack of a better word, to foreign tourists so there's a sense of amazement at the number of people. I think the one last point is that the village hasn't changed much over the past century. Customs remain the same, buildings haven't changed much and you feel as though you're part of something old. If you asked me "what makes people choose Nozawa over other ski resorts? ", I think it would be this genuine, Japanese ski experience. How do you think the resort can appeal further to skiers and snowboarders? The next point would be convenience. It's not the easiest resort to get to and it can also be difficult to access things like your bank/credit account. These two aspects would improve as the demand for it grows. Any thoughts on the foreign market in general and how that applies to Nozawa? I think Nozawa will begin to accommodate the international tourist base more as there's a significant demand for it. Fortunately, the village is against change and do not want to develop into having big hotels etc so the resort's charm won't change. At the moment, the economic climate is affecting all guests and the yen is giving our international guests a particularly hard time but when the AUD was trading for about 100 yen, it was actually quite cheap to ski here. At the moment, it's a case of "how do we want to accommodate guests?" rather than "how many?" I think the main thing to remember is that it is a village first and then a ski resort. Anything else you'd like to tell us....? A local tip for coming to Nozawa: come on the weekdays and avoid the Japanese national holidays! When you come during the domestic off peak, the hotels are cheaper and you basically get unhindered runs without the long queues. During peak, you're more likely to spend more time in queue than skiing! Avoiding the queues is an obvious point but I don't think many people realize just how busy it gets on peak.